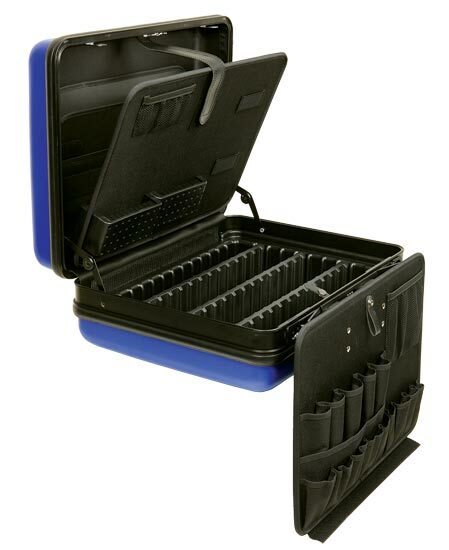 The name says it all – it’s a blue case for carrying tools, but this is no ordinary case. It’s best described as what James Bond would use if he was a bike mechanic. Bond may have gone for something stealthier than striking corporate ‘Park Blue’, but it is practically bombproof. The shell is made from a dent-proof resin-moulded composite, surrounding a super tough, anodised aluminium frame that is double lockable, with key and combination. Inside are 35 tool pockets, specifically designed for bike tools, four universal tool modules adjustable to accommodate a wide variety of tool shapes, a small parts organiser and a removable tool board, made of durable 600D ballistic nylon, that hangs neatly on the front. Granted not everyone’s idea of a good way to spend £249, but awesome nonetheless.